It was partly light behind wind. Today was lucky day. 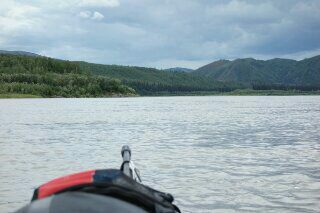 I paddled past a rapid where some rocks appeared at the middle of the river. Those rocks are not enough high to easily find from far away.